Divorce mediation provides a safe environment for divorcing couples to discuss all aspects of settling a divorce including child custody, child support and division of property and assets in a healthy and productive way. This collaborative process can lay the groundwork for a positive relationship even after the divorce, which is very important, especially when children are involved, as the divorce itself is the just the beginning of a new phase of the relationship. Johnson Mediation of Chanhassen, MN, offers a comprehensive divorce mediation program for divorcing couples looking for a less adversarial way to end their marriage. The court system is inherently built to increase the stress and confrontation, whereas divorce mediation is designed to de-escalate a difficult situation and help couples find ways to compromise when it comes to the important aspects of their divorce. A mediator functions as a neutral party in the discussing, offering important information to the couple, but not influencing the decisions or the outcome. The couple has the power to set priorities for discussion and come to a decision that works best for all involved, rather than leave this in the hands of the court. Divorce mediation takes less time than a lengthy court battle and is generally far less expensive than settling a divorce via the courts. When a divorcing couple is trying to manage the stress of a separation in addition to making decisions about child custody and child support arrangements, emotions can very easily run high. Divorce mediation is designed to help a couple manage these complex issues and find common ground so that the couple can move forward toward their new life in a more healthy and positive way. Another potentially important resource for divorcing couples is a family coach, who can work with one of the parties to develop strategies to help navigate the divorce process, especially if the discord is particularly high. A family coach can help you make informed decisions about your parenting, lifestyle, and a path forward when it comes to child custody and child support issues. Divorce Mediation can be a highly effective tool for settling a divorce, and even has a higher success rate than proceeding through the court system. Johnson Mediation brings years of experience, compassion and knowledge of the process than can help you and your family find a way toward closure from the ending marriage and a clear and healthy path forward toward your new life, putting your family first every step of the way. 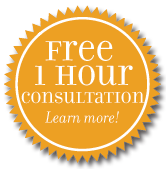 Call our team at (952) 401-7599 for more information or to schedule a time for a free one hour consultation.